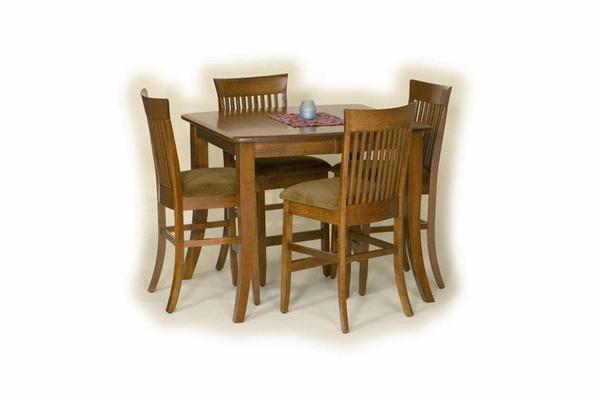 Gather together as a family with this beautiful Amish handcrafted Plantation Pub Table. Our Plantation Pub Table possesses a very traditional American pub table style with its beautiful solid wood legs. Order this table in a 36" height to work with 24" seat height bar stools or order the 42" high table for 30" bar stools. Eight different hardwood options are available for this counter height dining table with many choices for stains, paints and distressing. Call to get an order started today for your new Amish made pub table for your home. Please note that the chairs are not included in the price of this table and have to be ordered separately.